A new method for simultaneous measurement of 71 inorganic elements in liquids—including water, beverages, and biological fluids—makes element testing much faster, more efficient, and more comprehensive than was possible in the past. The researchers studied samples of liquid from a variety of sources worldwide, including tap water from a New York City suburb, snow from Italy and Croatia, rain from Brazil and Pakistan, lake water from Switzerland and Croatia, and seawater from Japan and Brazil. Testing each sample results in a distinct elemental pattern, creating a "fingerprint" that can help differentiate between substances or trace a liquid back to its environmental origin. 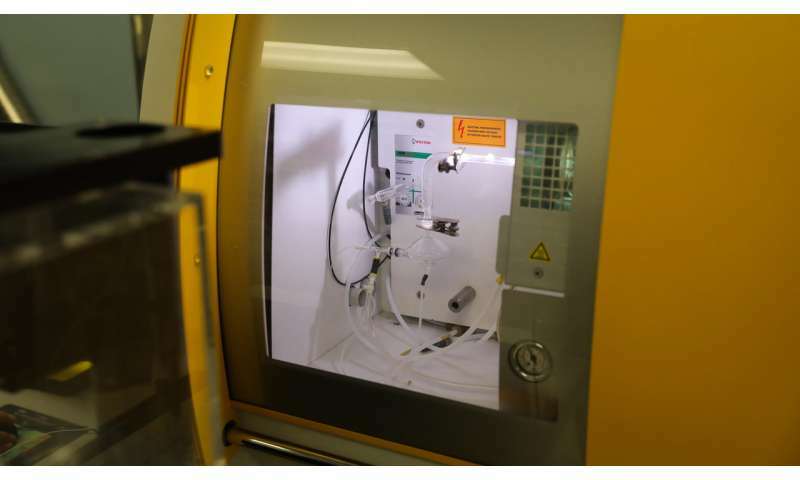 An analytical technique called inductively coupled plasma mass spectrometry (ICP-MS) is used to measure elements. Historically, ICP-MS instruments have measured elements sequentially, or one by one, but a new type of ICP-MS instrument at NYU College of Dentistry and roughly two dozen other places around the world has the potential to measure the complete range of inorganic elements all at once. "Because of this new method, our mass spectrometer can simultaneously measure all inorganic elements from lithium to uranium. We're able to measure the elements in far less time, at far less expense, using far less material," said Timothy Bromage, professor of biomaterials and of basic science and craniofacial biology at NYU College of Dentistry and the study's senior author. "The elemental mapping of concentration levels in bottled and tap water could help to increase our understanding of 'normal' concentration levels of most elements in water," said Bromage. 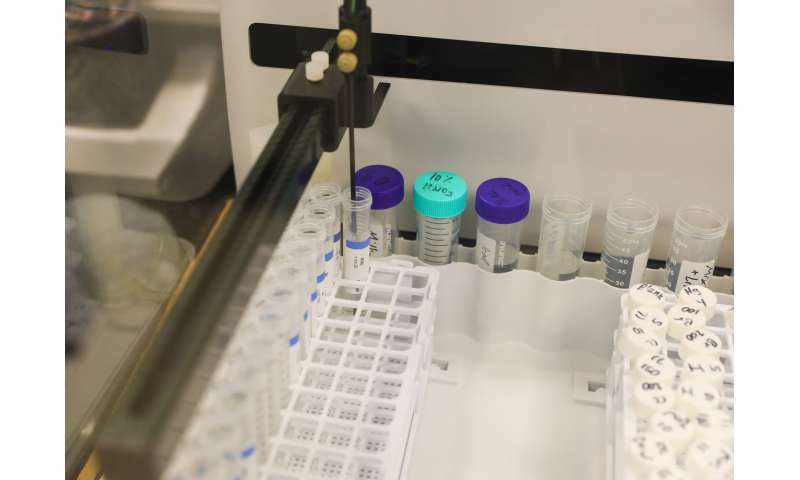 Bromage and his research team tested the method on waters, beverages, and biological samples. Snow contained the most elements of any water sample: 50 in snow collected in Italy and 42 in a sample from Croatia. "Such evaluations of snow may represent a new and comprehensive means of surveying atmospheric concentrations of elements and for monitoring element patterns in global airflows," Bromage said. When testing tap water, the researchers measured 37 elements when the tap was first turned on but only 34 elements after the water was running for five minutes, suggesting that elements such as iron and zinc may be leaching from household pipes into the water. The researchers also measured elements in bottled water, beer, wine, and milk, as well as in samples of saliva, urine, and blood. Milk was distinguished from the other beverages tested by its high concentrations of titanium, zinc, palladium, and gold. In each sample, Bromage and his team found a distinct "fingerprint" or elemental pattern, suggesting that samples can be recognized and differentiated by these patterns. The elemental content of water, for example, typically reflects its natural environment, so understanding the elemental composition can tell us if water had its origins from a source with volcanic rock versus limestone, an alkaline rock. In bottled water, the researchers observed variations that can likely be traced to one being bottled at the source and one being chlorinated for transportation from the source to the bottling plant. Future studies will measure and report on larger samples of water, wine, milk, and other fluids; a study of more than 1,000 wines from 34 countries is in progress. In addition, once elemental patterns for specific environments have been established, the method can be applied to answer questions in fields that relate the present to the past, such as the paleoenvironment and climate change. "Water is an arbiter of how a system actually works. If you sample the water from a pond or river and measure the elements, you are measuring the stuff that becomes incorporated into all life—water feeds the plants, animals eat the plants, we eat the plants and animals. 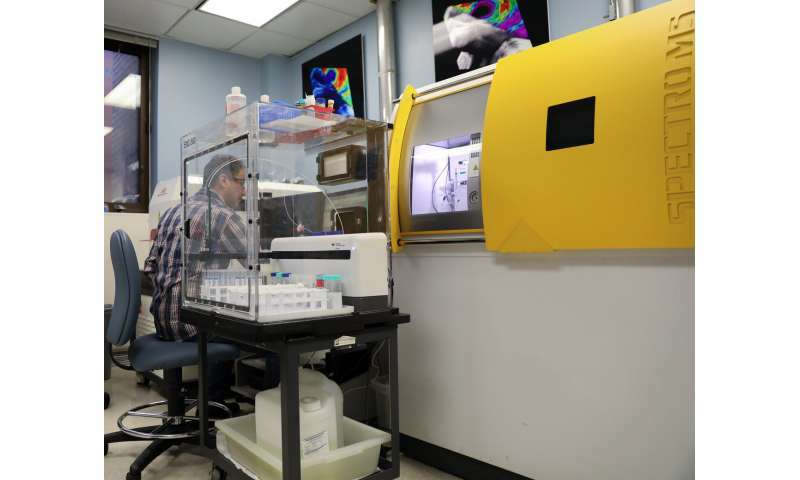 We could use this knowledge to study human fossils and potentially retrodict what the nature of the region's water was hundreds of thousands or millions of years ago," said Bromage. I had a lot of fun with this stuff !